Hotel and restaurant business representatives will meet more than 60 provider enterprises and brands. The fourth edition of the “Feria Hoteles y Restaurantes. 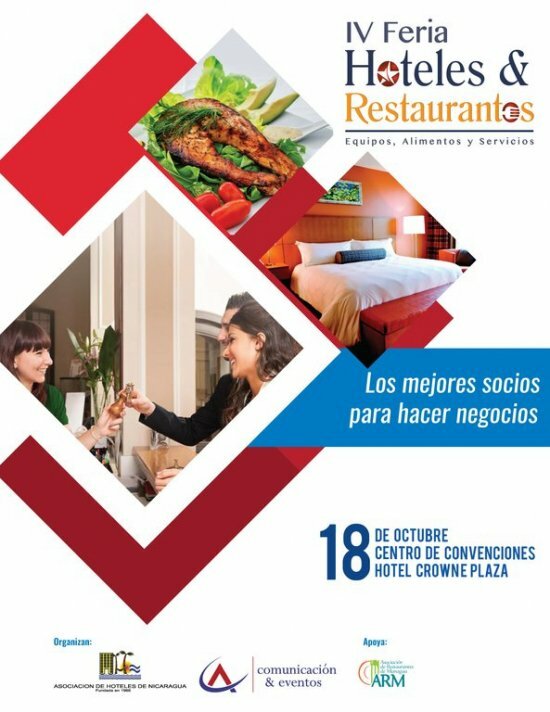 Equipos, alimentos y servicios” (Fourth Hotels and Restaurants: equipments, food and service) will be held in Managua old center next Oct 18. Organizers started a call to all hotel and restaurant sector businessmen in Nicaragua to come and meet offers by more than 100 brands and 60 business. The event will not be open to the public; it would be a meeting fair between exhibitors and owners, managers, purchasing agents and similar from the signaled sector: hotels and restaurants, where are included cafeterias, bars, sodas, bakeries and ice cream shops. In addition to the meeting area, there will be some conference and speaks by national and international specialists, according to the organizers press release. As of yet, the talks are being arranged and details will be announced soon, said the organizers office asked by ViaNica.com. For this year event, organizers are offering transport and food for businessmen interested in participating but located in region like Rivas, Granada, Leon, Chinandega, Carazo, Esteli and Matagalpa. “We have a coordinator in each of the mentioned department of Nicaragua, so anyone interested could confirm attendance to our phone number, and we will put them in contact with our local coordinator”, mentioned Grethel Rivera, form the AC Comunicaciones y Eventos office. The fair will take place at 8 AM – 5 PM on Wednesday October 18 at Crown Plaza convention center in Managua old center area. According to the facts included on the press release, last year fair generated more than 2 million dollars in sales and contracts. Organizers are Asociación de Hoteles de Nicaragua (ASHOTNIC), AC Comunicaciones y Eventos and joining this year event the Asociación de Restaurantes de Managua.